Villa Roquette in the heart of Languedoc offers private self-contained holiday apartments with one or two separate bedrooms, we also offer a fully equipped studio apartment. Staying in a self-catering apartment provides complete privacy and you can set your own pace for exploring this magical region of Languedoc and Southern France. 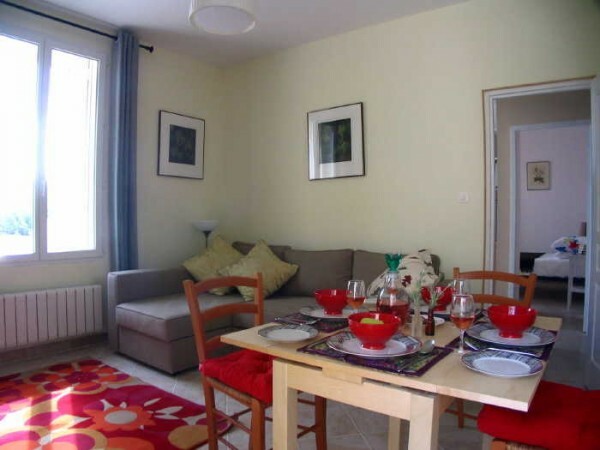 Renting a vacation apartment for your holiday accommodation at Villa Roquette is an efficient and economical way to stay and discover France. Villa Roquette has a well designed layout and we can combine our holiday accommodation with suites of rooms privately and securely to enable from two to six people to stay in comfort. Combine the apartments and Villa Roquette can be home for up to fourteen people. Our two bedroom apartments each have two bathrooms. We can also add cots and have facilities for young children. When you stay in our holiday apartments, you can, if you wish, still enjoy breakfasts and evening meals with us in Villa Roquette. All our other services, our pool, barbecue areas and gardens and the extras we supply are, of course, always available.